Today on the blog I am sharing a fun tutorial how to make a Halloween Banana Mummy Snack. It can be tricky to get my daughter to eat fruit at times and making fruit more fun is always a great way to encourage her to eat more fruit. Did you know that Bananas are super healthy. In fact, Bananas are one of the most widely consumed fruits in the world. Bananas can help lower blood pressure and reduce the risks of cancer and asthma. Bananas are rich in the mineral potassium. In fact potassium is super important for helping regulate fluid levels in the body and allowing minerals and waste products to enter in and out of cells. For me, someone with Adrenal Insufficiency, I have spent time in hospital requiring IV potassium. I know what it feels like to be low in this mineral and it’s not a good feeling. Bananas also have Vitamin B6, Maganese, Vitamin C, Dietary Fiber, Protein, Magnesium, Folate, Roboflavin, Niacin, Vitamin A and Iron. 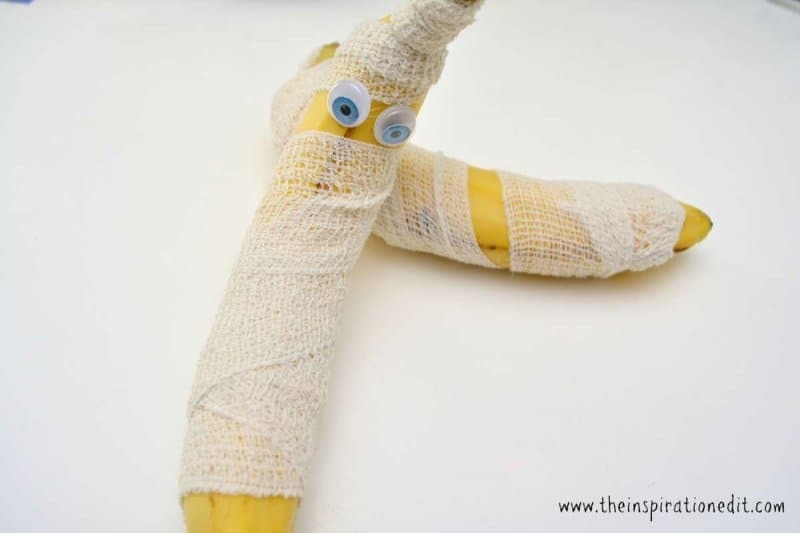 So, the simple but great idea I am sharing today is the Halloween Banana Mummy Snack idea. All you need to do is get one Banana or two. 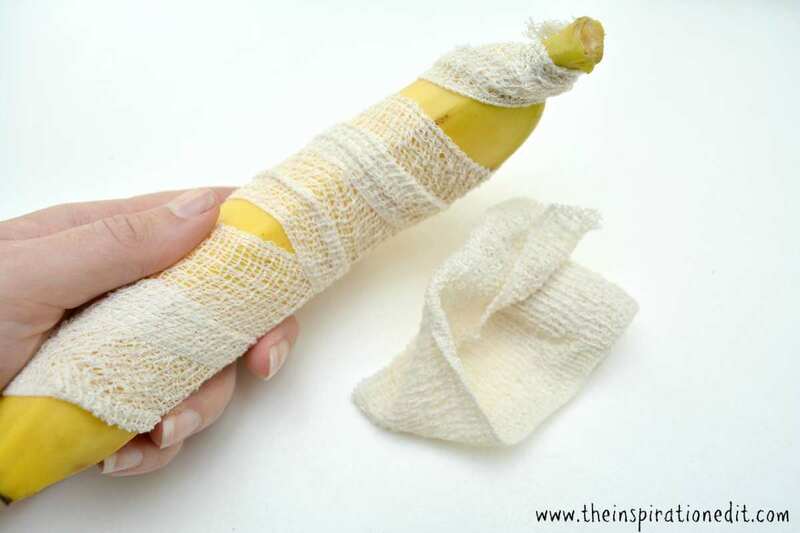 Starting from the bottom you wrap a piece of gauze around the length of the banana. you can criss cross the guaze or leave gaps to give it more of a mummy feel. Next, you need to make sure you leave a small gap near the top of the banana so you can add eyes. Simply stick the gauze at the back of your banana using the hot gun and then add the googly eyes to the front of your banana. Be sure to use a low temperature so not to damage the banana skin. It’s a simple but effective way to decorate fruit for the kids and could be a hit this Halloween. The banana mummies are adorable! What a creative and easy way to entice children to eat more fruit as a healthy snack during Halloween season. I would definitely grab one of these cute mummies over a boring snack. Love it! Aw! This Halloween Banana is super cute! What a great way to feed bananas to kids! oh that’s super cool to here. Thanks for pinning! This is the cutest thing ever! Perfect to add to your kids lunch box for a Halloween treat. Or…if you have kids in preschool, this would be a good class snack! The kids would get a kick out of it! I keep imagining being a mom who puts fun and funny surprises in my kids’ lunch boxes. #goals. This is a great idea; A great way to get kids to eat their fruits and vegetables. I grew up in a different generation where the only place to eat out was the local restaurant and the Dari Dine and we didn’t go there very often. My Dad raised a huge garden and I grew up eating a lot of vegetables. Awesome. I want to raise my child to eat more produce but I don’t always do as well as I would like. What a fun Halloween snack idea! So many Halloween snacks are scary and not meant for younger kids. This is a fun way to incorporate Halloween for younger children. It sure is and although sweet treats are fun at Halloween, it’s also great to get healthy snacks too. What an adorable idea. This is a cool project that even toddlers can get involved in. I love the creativity lol. 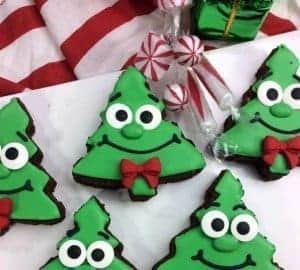 I will share with my son’s class so they can make these 🙂 I know they will have tons of fun. Thanks. It is a great idea for little ones to enjoy. This is so cute! My kids school has a pretty strict snack policy due to food allergies, bananas are on the OK list. I think I might do this for my daughters preschool class for Halloween. What a fun little treat for kids. Oh that is such a great idea, to do them for school. My son will enjoy making the mummy. You do know that he won’t want to undress the mummy. The banana will be found rotting sometime next week. 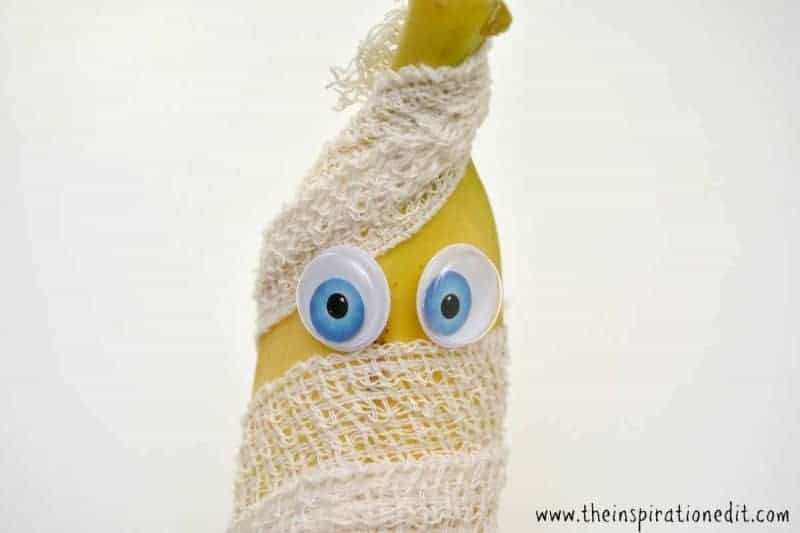 Cute Banana mummies, more cuter than scary but great idea for lil kids to get the significance and do some creative work themselves. Oh, that is just adorable! My little nephews love halloween and they would love this idea! This is a really great halloween snack! 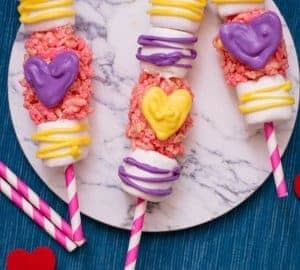 I love that its really easy to make and also that its healthy as most snacks at halloween time are sugary and full of colours! Ha ha. Thats funny! Pretty crisp idea! My son loved it! Such a cute idea! My kids would love this! I’ll be honest I don’t surprise them often with surprises in their lunch boxes..this is easy enough for me to do! This is absolutely adorable! I’m always amazed at how people can turn food, especially healthy food, into the cutest things. I’m not that creative! Lol! Such a cute idea for Halloween! Seems like a very creative way to get your kids to eat their fruits. Ha! ha! I do have those bandages! Perhaps this would get my 6 year old to eat his bananas without me asking him to! This is genius and looks super easy!